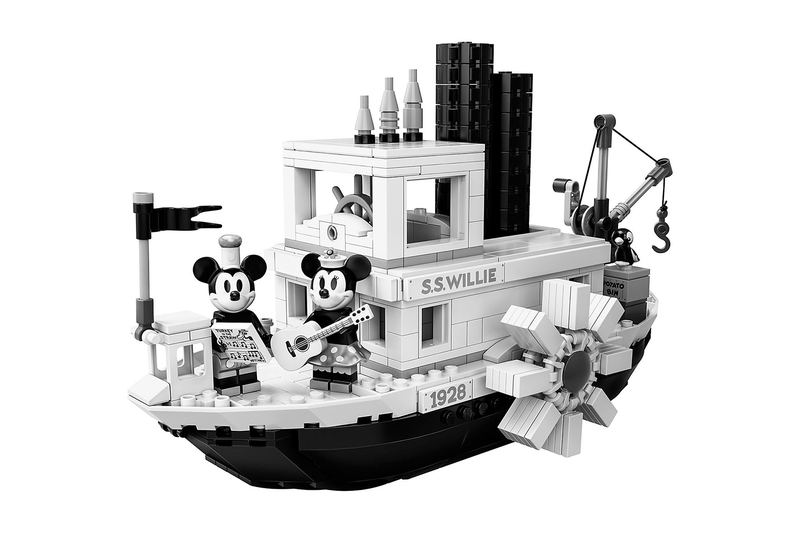 LEGO IDEAS is set to release a collectible build for the Disney Mickey Mouse cartoon Steamboat Willie. Void of color, the complete build sees 751 pieces and features Mickey and Minnie Mouse, as well as the parrot character from the short film. Details in this limited edition LEGO release come in the form of moving steam pipes and paddle wheels that activate when pushing the boat on its hidden wheels, a working crane, a brick bell, a life buoy, Minnie’s guitar, and a commemorative “1928” podium to place both Mickey and Minnie Mouse on to. Set for an April 1 release, the package will also come with a booklet that’s loaded with historic facts on the 1928 animated Disney short, and a bio on the IDEAS creator behind the design. Those interested in this piece of Disney memorabilia can find it over at LEGO’s web store for a price of $89.99 USD.